I’m constantly on the lookout for recipes that call for red beets; per ounce, few foods that I’m aware of are as dense in a variety of nutrients that can help prevent heart disease and certain types of cancer, especially colon cancer. Red beets are particularly rich in B vitamins, including folate, which makes them useful for lowering blood homocysteine and preventing birth defects. 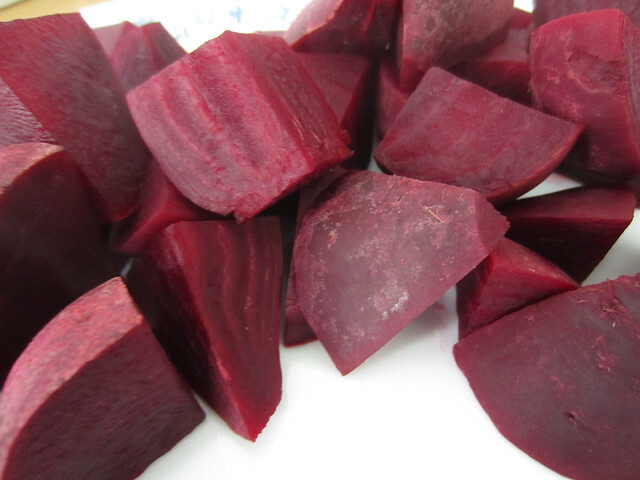 If you have a problem with constipation, red beets and their green tops are likely to provide significant relief. Both are rich in fiber that can help keep waste materials moving through your gastrointestinal tract at a healthy pace. Red beets contain large amounts of potassium and magnesium, while beet greens are an excellent source of beta-carotene, iron, and calcium. All of these nutrients are essential to maintaining the health of your digestive tract lining and the smooth muscle fibers that create the waves of contractions that produce bowel movements. Steaming is the healthiest cooking method for red beets and beet greens. Cut the greens off right where their roots meet the red beet heads. Give the greens a good wash with cold water and set them aside. Peel the skin off the red beets, slice them into 1/4 slices, and then cook them in a steamer for about 8-10 minutes or until they start to become slightly tender. At this point, place the beet greens right on top of the red beet slices, put the lid back on the steamer, and allow it to run for another 5-7 minutes or until the beet greens have softened up to a texture that you enjoy. Try the beet greens and red beet slices with a bowl of rice or quinoa, along with some avocado slices. Don’t add any sea salt to this dish before you try it, as beet greens are naturally salty. Please note that beet greens shouldn’t be eaten more than a couple of times a week, as they contain an acidic substance that can weaken the enamel coating on your teeth if eaten too often. If you don’t enjoy beet greens, you should still consider buying red beets that have their green tops, as loose red beets are typically not as fresh as those that still have their green tops. 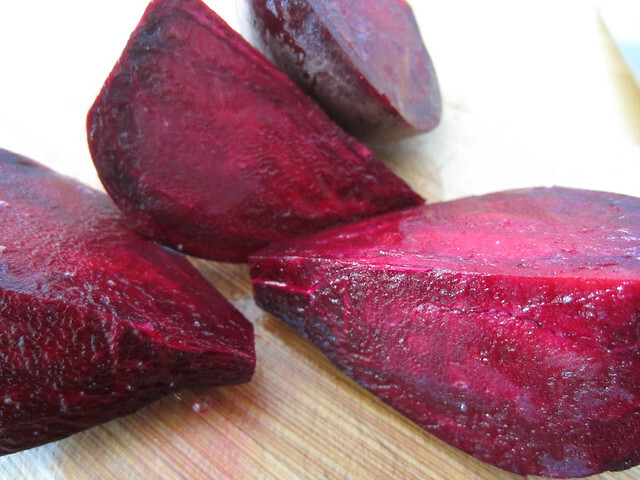 Note: The cancer-fighting pigment that gives beets their rich red color is called betacyanin. 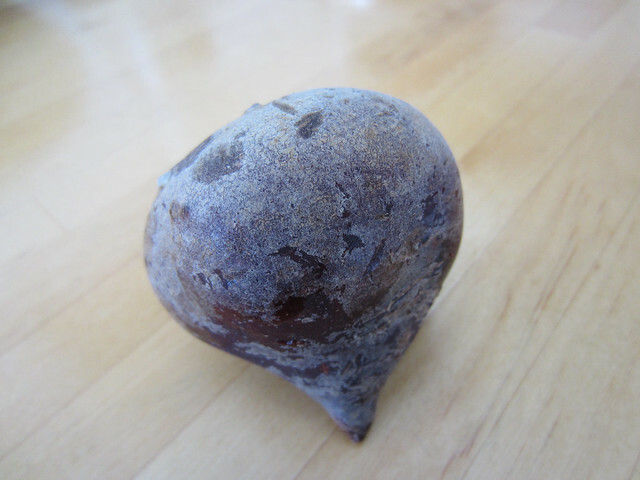 If you eat red beets on a regular basis and notice a red tinge to your urine or stools, there is no need to worry, as this simply indicates that your body is receiving plenty of a good thing. In our home, we like having a side dish of beets with most of our meals because the positive health effects of eating beets are so easily felt on a daily basis. We start by quartering well washed beets. No need to take the skins off. We bring the quartered beets to a boil, then simmer for a good 15 to 20 minutes or until the beets are tender but not mushy. 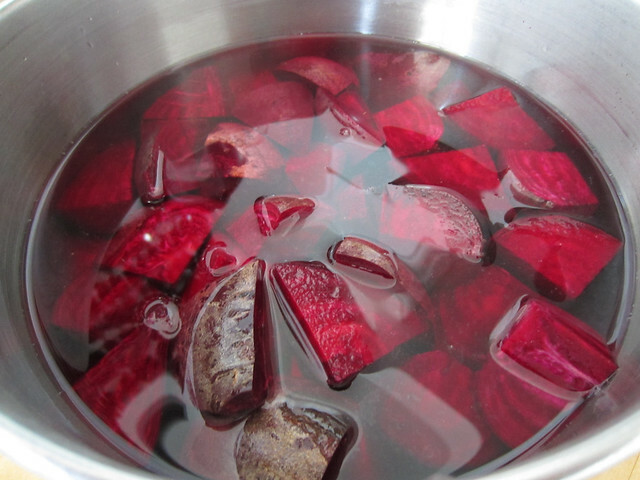 After the cooking water is drained and the beets have cooled enough to handle, we cut them into bite-size pieces and remove the skins – the skins are easily removed after cooking. The last step is to dress with extra-virgin olive oil, a pinch of sea salt, roasted sesame seeds and any other seasonings that we crave and have available. 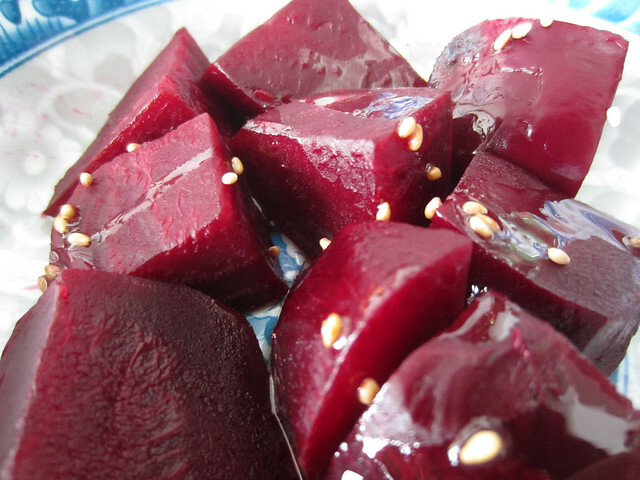 This red beet dish can be served warm or cold as a side or on its own. Naturally sweet beets pair nicely with creamy avocado slices. Hope this post inspires you to make red beets a regular part of your life – all of your organ systems should thank you for your efforts today and in the years ahead. This article first appeared on www.drbenkim.com. What Happens to Our Qi When We Eat Processed Foods?